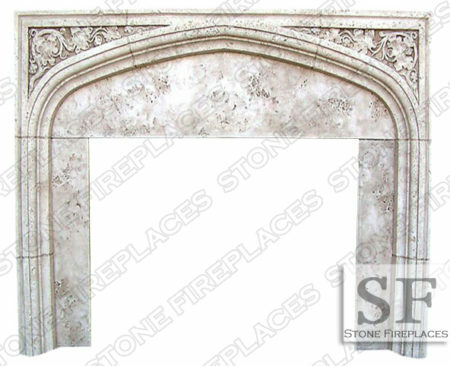 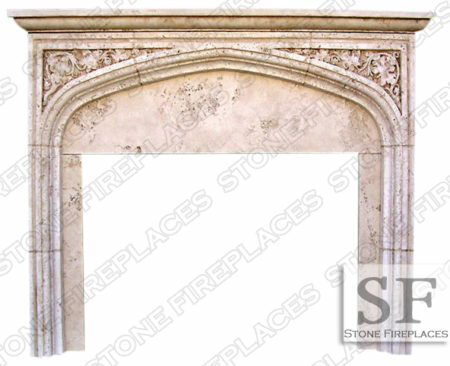 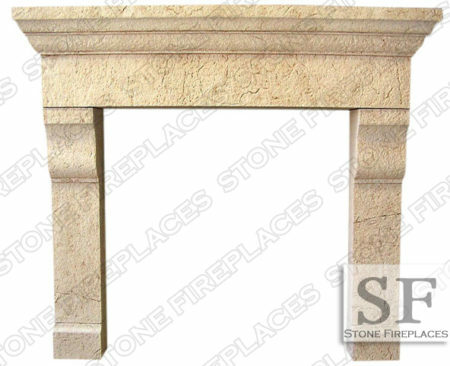 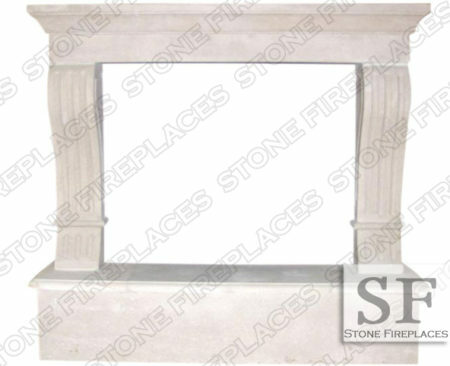 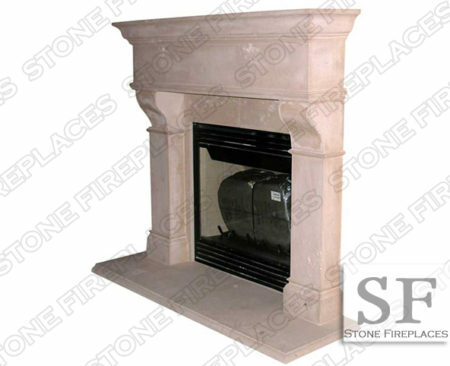 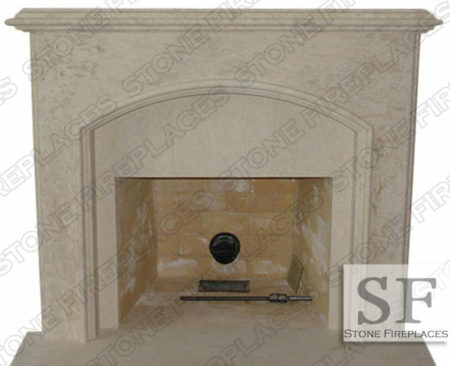 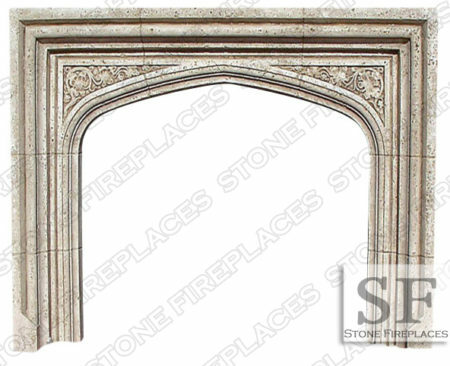 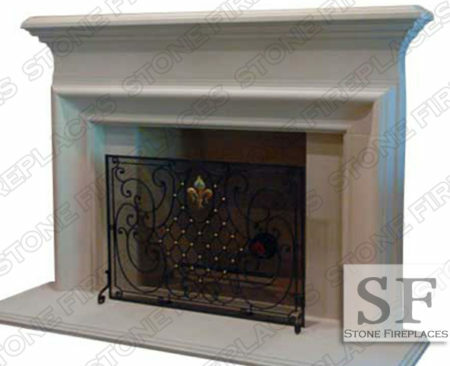 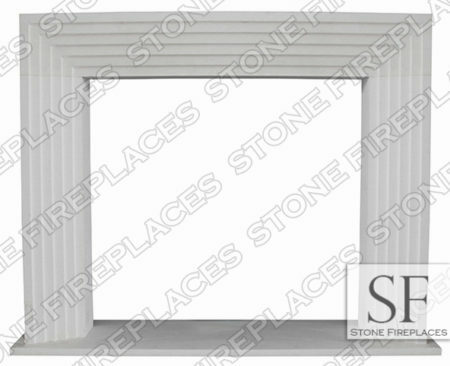 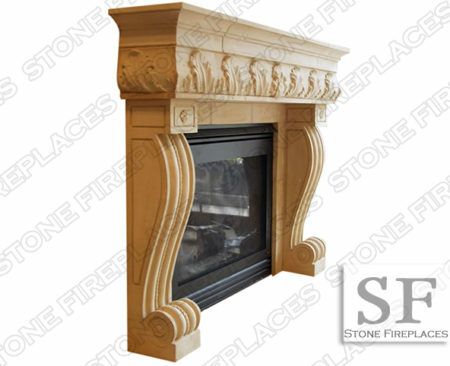 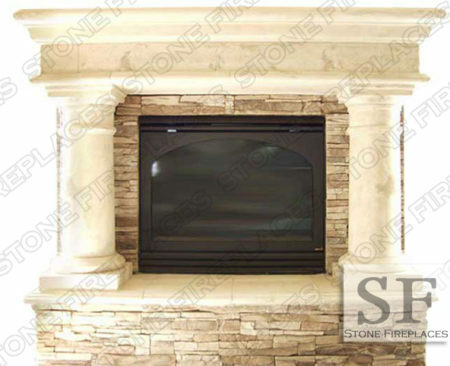 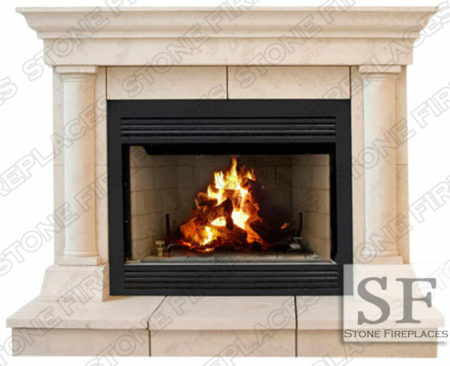 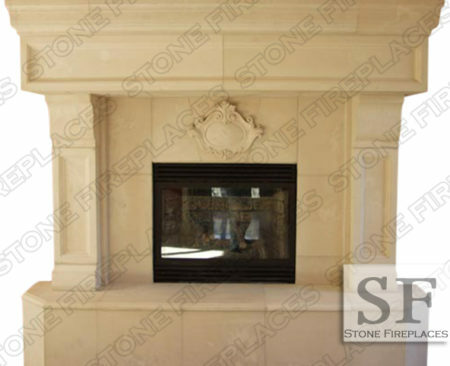 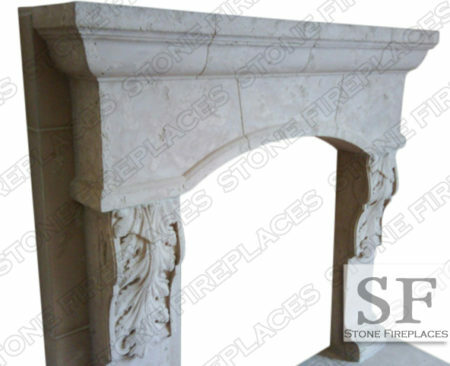 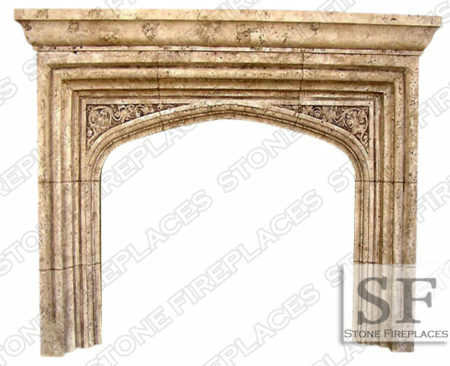 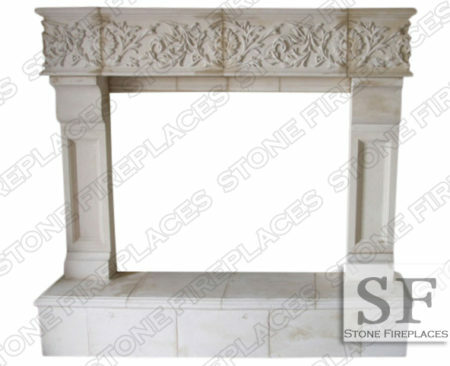 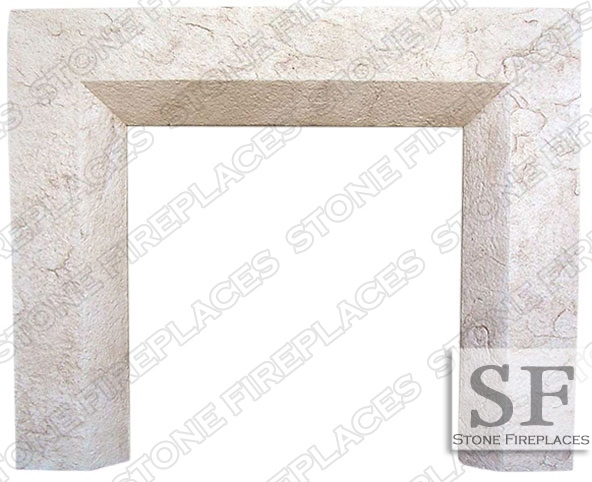 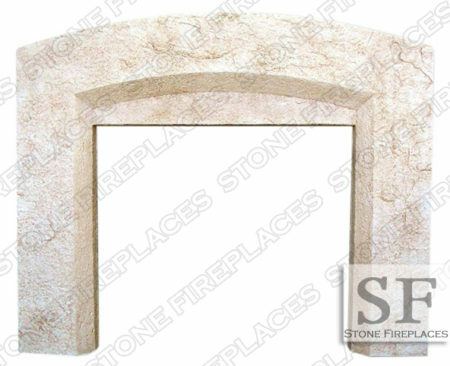 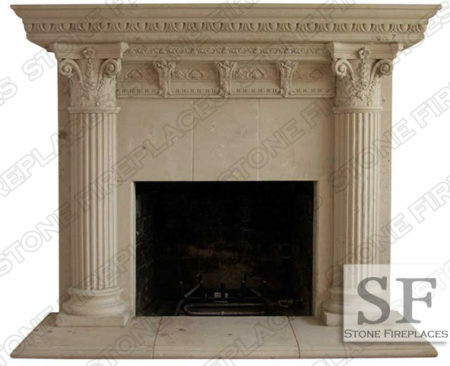 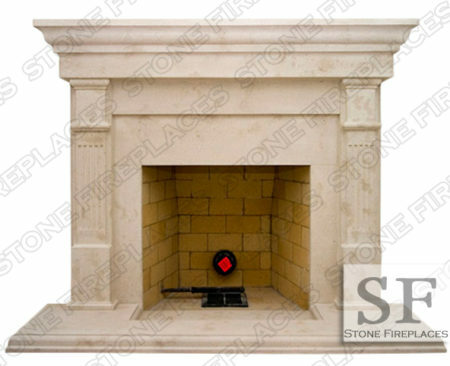 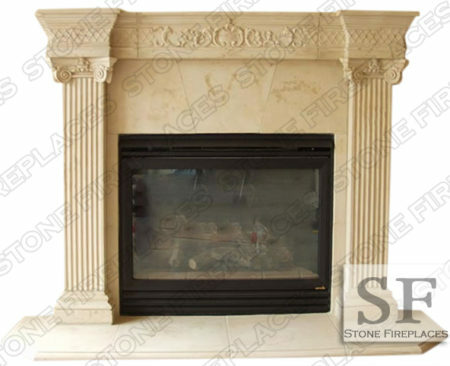 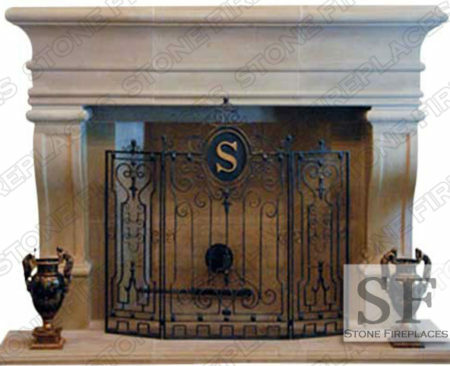 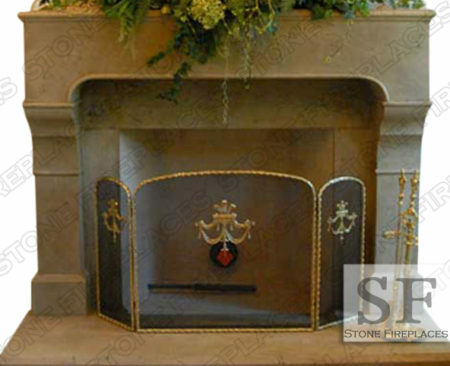 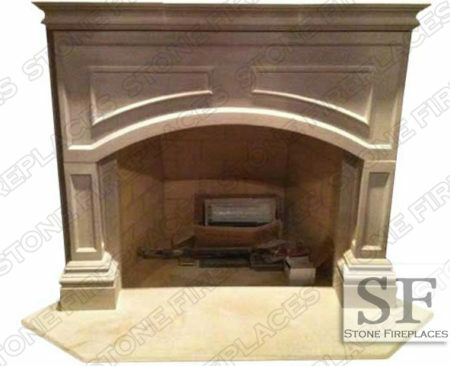 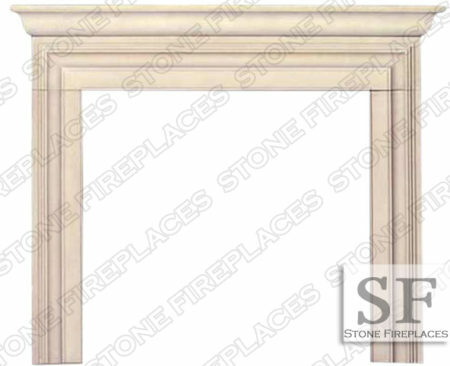 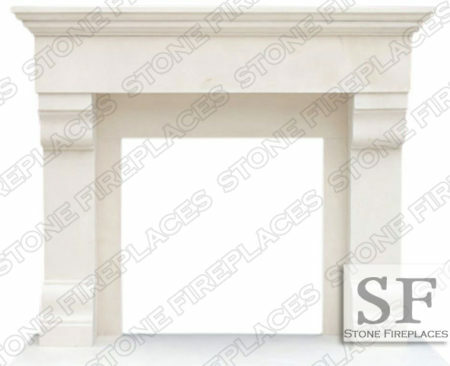 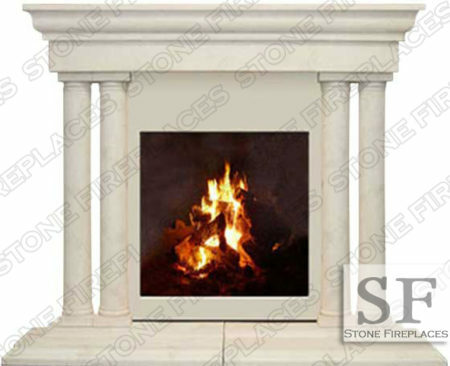 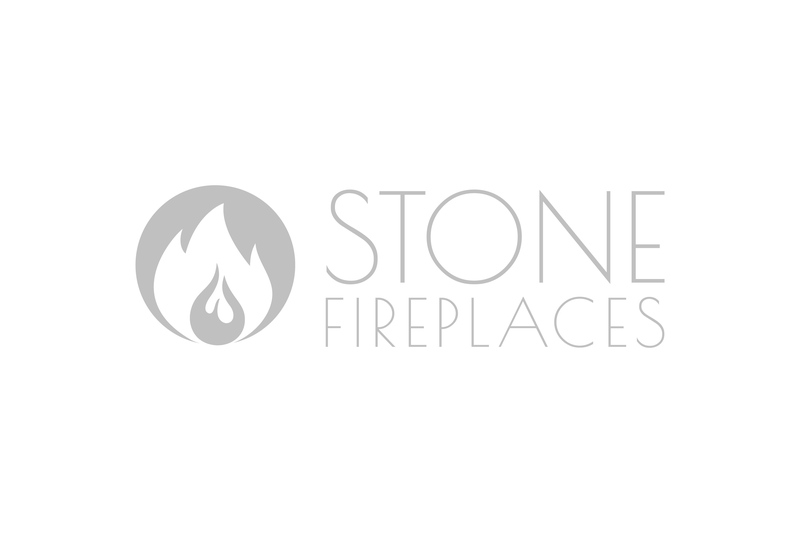 Beveled fireplace mantel is a modern design. 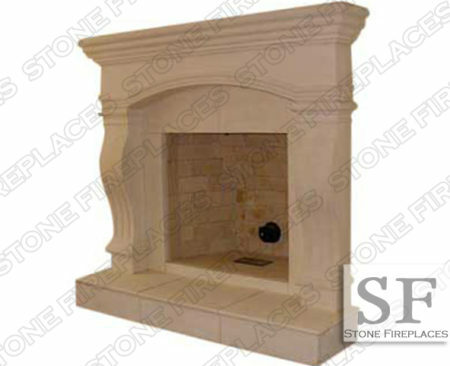 The flat straight sides with inward facing inner returns. 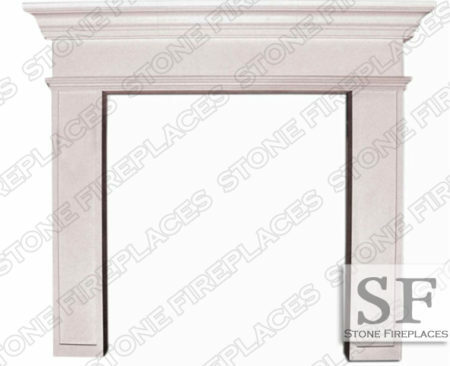 The sharp straight lines give this simple surround its appeal. 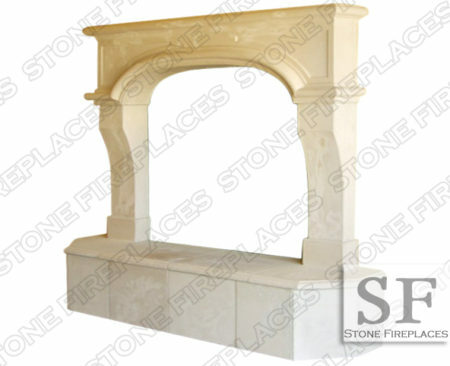 Here it is pictured made from limestone cast. 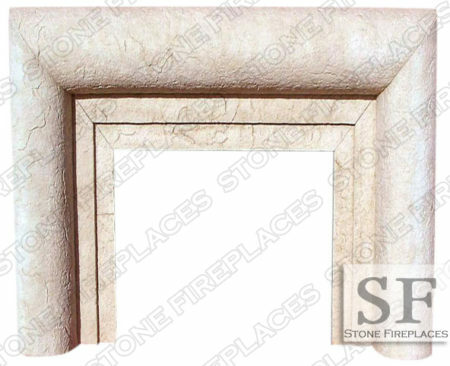 This is a man made material that is based from limestone giving it an authentic look and feel. 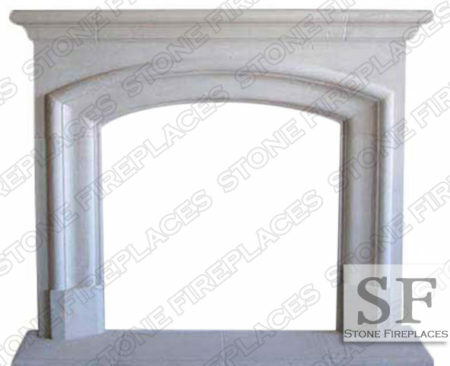 This contemporary design can be made with an arched opening and is found on this website. 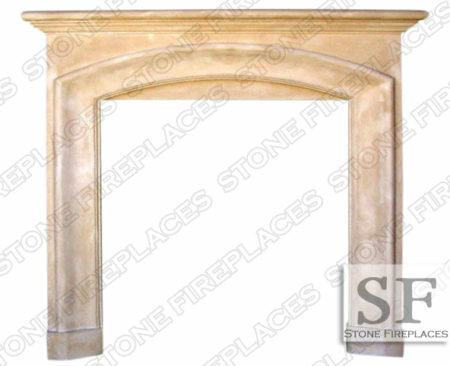 Modern Mantel fireplaces are trending. 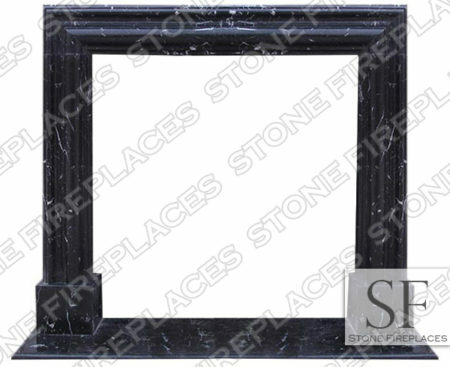 Having them carved from unique marbles like green or black gives them an exceptional appeal.